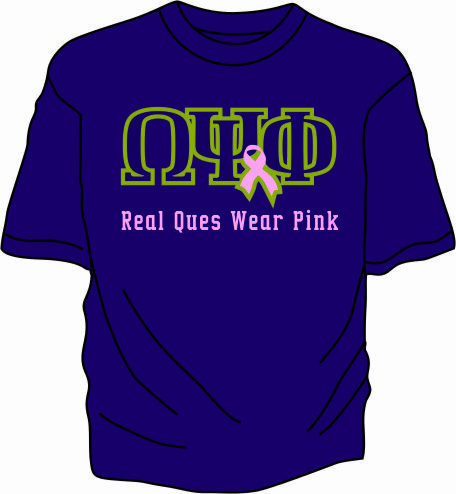 If your chapter is Walking to raise money for Breast Cancer research or just handing out water to the walkers, these shirts can help your chapter look uniformed and show your support! 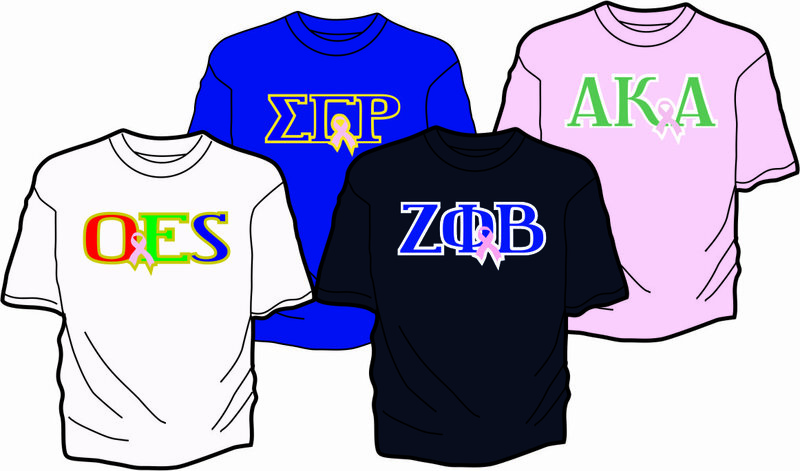 Add any custom line up to 20 characters underneath a proud pink ribbon adorning your greek letters. A portion of each tee purchase will be donated to breast cancer research.